Being a school principal in America can be a thankless job, and one that is ever-evolving. What would happen if you brought together some of the best, most influential school principals in our country to talk about how they leverage their strengths and resources to stay focused on transformational leadership in their schools on behalf of their students? I had the opportunity to be part of such a group. 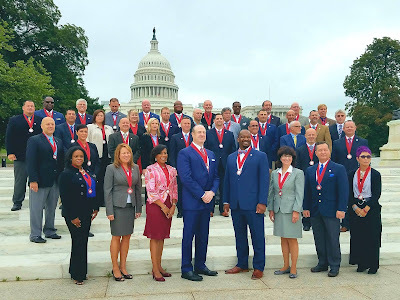 As the 2017 New Hampshire award winner, I have been honored to have spent the last few days in Washington, DC with 52 other State Principal of the Year Award winners at the 2017 Principals Institute, a program sponsored by the National Association of Secondary School Principals (NASSP). Plot Twist: Starting School Later is Good for Teens AND Saves Money! Part of the back to school preparation for many teenagers this fall was readjusting their sleep schedules to accommodate the early start times at many American middle and high schools. My son Brady, for example, gets up each day at 5:30 AM to catch a 6:45 AM bus to take him 3.5 miles across town to his school, which starts at 7:30 AM. Two weeks before school started, he began backing up his 7:30 AM summer wake up time by a few minutes each day so that his sleep patterns would be adjusted. Brady is not unlike many of his peers in schools from coast to coast who work through the logistics of an early morning schedule. 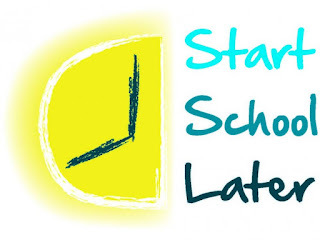 A growing number of schools have responded to countless research that has concluded that later start times would benefit students. 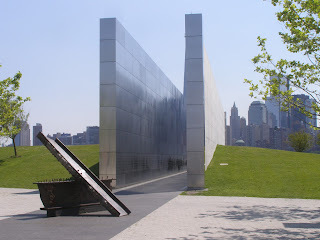 Today marks the 16th anniversary of one of the largest international terrorist attacks in history, a series of four coordinated terrorist attacks against the United States that killed more than 3,000 people on September 11, 2001. On that date, life as we know it changed forever. The attacks ushered in a new era of war - the war on terrorism. In a statement the very next day, President George W. Bush stated, “Freedom and democracy are under attack.” In the days that followed, Bush addressed a joint session of Congress, talking about how America and the world would respond. “Our war on terror begins with al-Qaida, but it does not end there. It will not end until every terrorist group of global reach has been found, stopped, and defeated.” Since then, that war has impacted all fronts, including diplomatic, economic, intelligence, law enforcement, and the military.